Hey folks! Today we’re looking at five of our absolute favourite leather cases for the iPhone X. Our roundup includes both real leather cases and synthetic leather equivalents, which will be clearly marked if you’re only looking for one or the other. Let’s get right into the finalists! This unique case takes the form of a classic leather-bound book. The X-Tome is made from a convincing synthetic leather material, with a reinforced spine to ensure your iPhone X is completely safe while inside. Apart from housing the iPhone X itself, the X-Tome also includes space for your cash and cards, making it a great wallet case. It also has a built-in stand, which is useful for turning dull moments on trains and planes into Netflix time. All in all, the X-Tome case is a strong choice, particularly given its low cost! The Vaja Agenda is a very different case than the X-Tome. Where the X-Tome uses synthetic leather to keep the price down, the Agenda uses handcrafted genuine leather — so no two cases will be identical. This is combined with lightweight yet durable polycarbonate to keep your iPhone X safe even if you drop or knock it. The flip design and magnetic closure keep the screen intact, while apertures allow full use of the cameras, port, buttons and so on. This is a premium case, but for the premium iPhone X it makes a lot of sense. 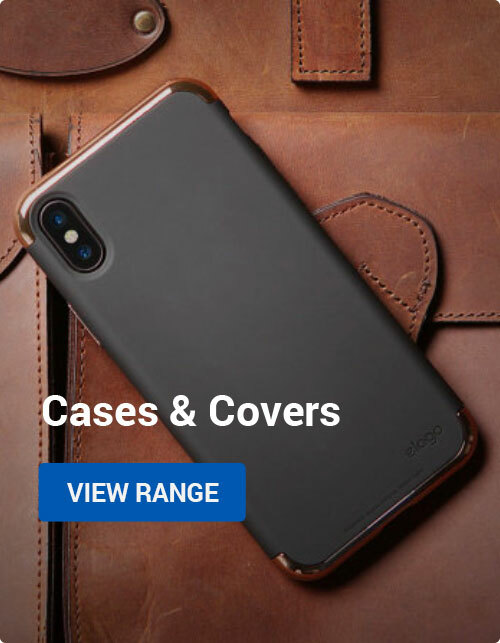 This genuine leather case protects the back and sides of your iPhone X, while leaving the front of the phone fully accessible at all times. 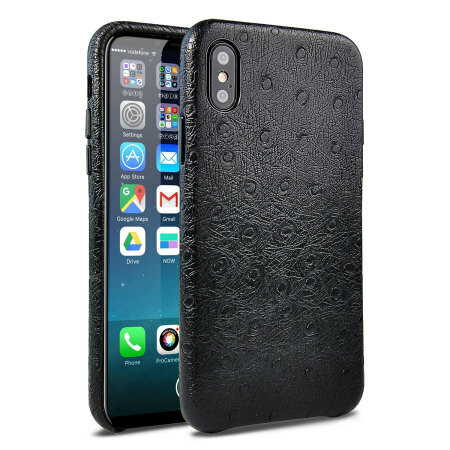 The case isn’t made from ostriches, but does have a nice ostrich pattern that sets it apart from the legions of standard leather cases on the market. This well-made and slim-line case is a nice choice if you want something a little different. The Cygnett CitiWallet is a multi-functional leather case that combines a stylish classic look in matte black with a protective polycarbonate bumper and multiple slots for cash, cards and ID. 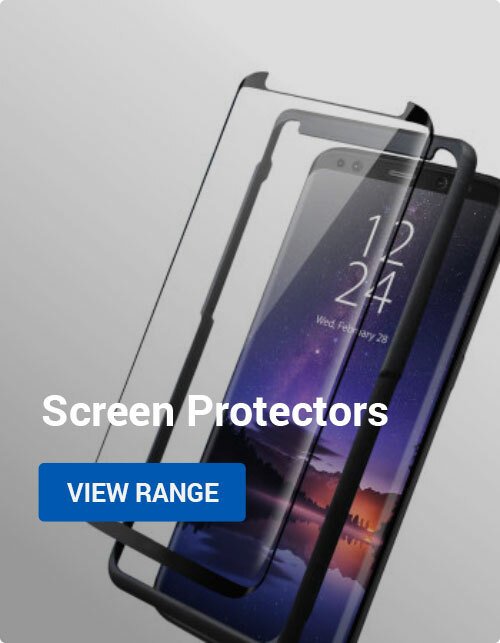 The case can also be propped up in landscape mode with the built-in stand, again proving useful for watching videos, keeping an eye on notifications or playing games. The Olixar Slim Genuine Leather Flip Case is the ultimate way to end this list. It’s a simple case in terms of design, a simple flip cover, but the implementation is top notch. Only genuine leather is used, with a simple but effective stitching visible around the periphery of the case. As it’s real leather, you get a beautiful and unique case as the case wears over time. The case adds minimal bulk to your iPhone X, while keeping it safe from everyday use and abuse. The Slim is available in two classic tones too: tan and black. If you want an honest-to-god leather case for the iPhone X, this is our highest recommendation. Thanks for checking out the article, and be sure to let us know what you think in the comments below! You can also reach us on Twitter @mobilefun or facebook.com/loveyourmobile. Thanks again and have a great week! Apple, Mobile Accessories iPhone X. permalink.